BATAVIA, Ohio (June 9, 2014) – Clermont County Park District Director Chris Clingman didn’t have to look far when 13-year periodical cicadas began to emerge mid-May from their underground nests. The trees in his yard were full of them. In 2001, when he and his wife, Suzanne, had just begun to work as caretakers at Crooked Run Nature Preserve near Chilo, they noticed that a lot of cicadas were emerging in an off-year. The Clingmans were familiar with 17-year periodical cicadas, and 2001 was not the year for them. In 2014, that theory appears to have been borne out. 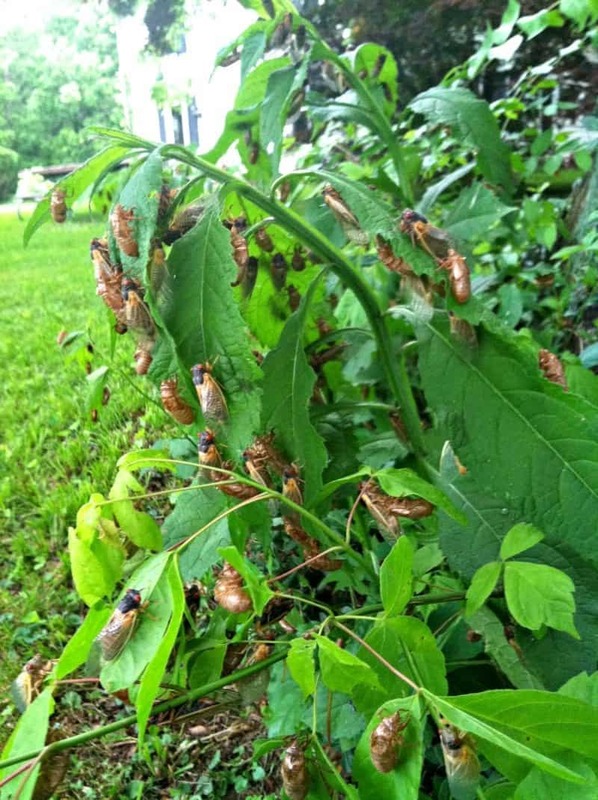 Since mid-May, 13-year cicadas have emerged in Brown and Clermont counties in Ohio, roughly from Ripley to New Richmond; and Kenton, Campbell, Pendleton, Bracken, Grant, Harrison and Robertson counties in Kentucky. Crowdsourcing – eager cicada fans armed with smart phones – have helped pinpoint locations to within 30 feet, and helped Kritsky verify sightings. Thus far, he has 67 verifiable records. Until this emergence, there was no conclusive evidence that Southwest Ohio and Northeast Kentucky were home to 13-year cicadas, cicadas commonly found in the Mississippi River valley from Illinois to Louisiana. Kritsky scoured records dating back to the early 1900s and determined there was a good chance that 13-year cicadas were indeed native to this region in the two states. Occasionally, cicadas emerge four years earlier than their cycle dictates, which has made it more difficult to identify the brood correctly, said Kritsky. Sometimes the 13-year and 17-year cycles overlap, which compounds the confusion. Two researchers from Japan recently stopped by Crooked Run to see the cicadas. They were in the United States to study the 13-year emergence, said Clingman. They were disappointed by what they saw in Louisiana, but not in Clermont County, where the cicadas were on every tree. “They were so excited to see them,” Clingman said. Cicadas are identified by brood numbers, a system set up in 1893 by the U.S. Department of Agriculture’s Bureau of Entomology, said Kritsky. Seventeen-year cicadas were numbered from Brood 1-17 (with Brood 1 being the one that emerged in 1893) and 13-year cicadas were numbered from 18-30. The current brood is called Brood 22. After the cicada eggs hatch, the young fall into the ground, feeding on grass and tree roots, trapping nutrients in the soil, and also in their own bodies for another 13 or 17 years. The next 17-year brood – Brood 10 – will emerge in 2021, says Kritsky. 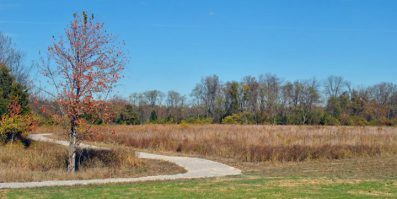 Prepare yourself – Southwest Ohio will be home to 6 billion of the critters.